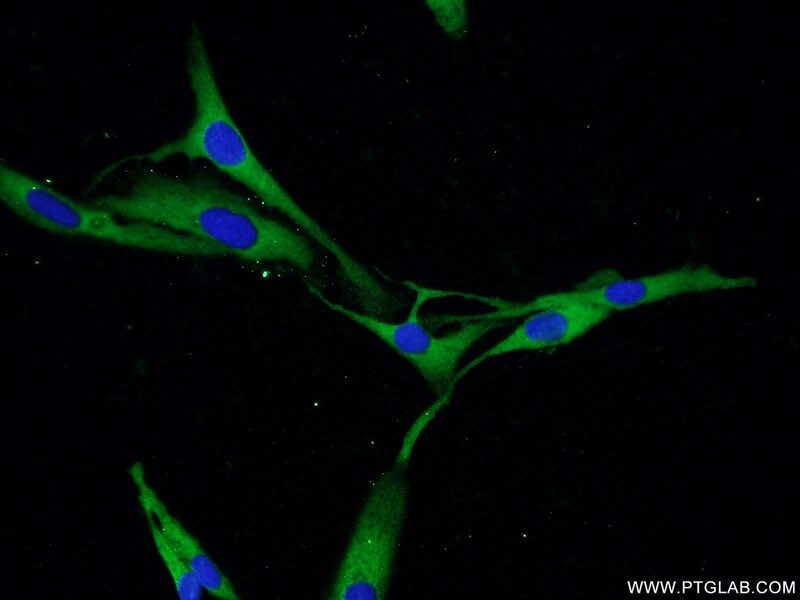 IP Result of anti-PDE5A (IP:22624-1-AP, 4ug; Detection:22624-1-AP 1:300) with SKOV-3 cells lysate 2800ug. 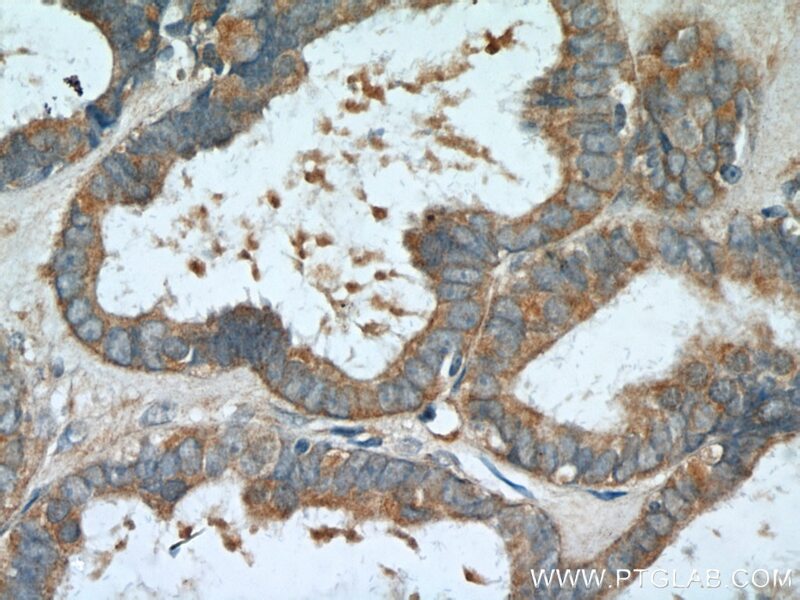 Immunohistochemical analysis of paraffin-embedded human ovary tumor tissue slide using 22624-1-AP( PDE5A Antibody) at dilution of 1:200 (under 10x lens). 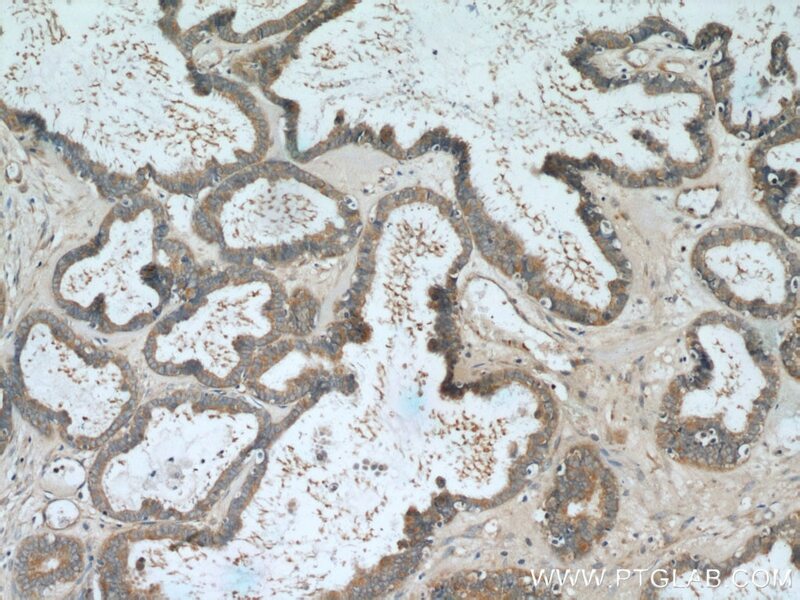 Immunohistochemical analysis of paraffin-embedded human ovary tumor tissue slide using 22624-1-AP( PDE5A Antibody) at dilution of 1:200 (under 40x lens). PDE5A (cGMP-binding cGMP-specific phosphodiesterase) plays a role in signal transduction by regulating the intracellular concentration of cyclic nucleotides. This phosphodiesterase catalyzes the specific hydrolysis of cGMP to 5'-GMP. Through alternative splicing, the PDE5A gene produces three proteins (PDE5A1, PDE5A2, and PDE5A3) that differ in their N termini and range in mass from 89 to 105 kDa. (PMID: 25704994; 21215707). 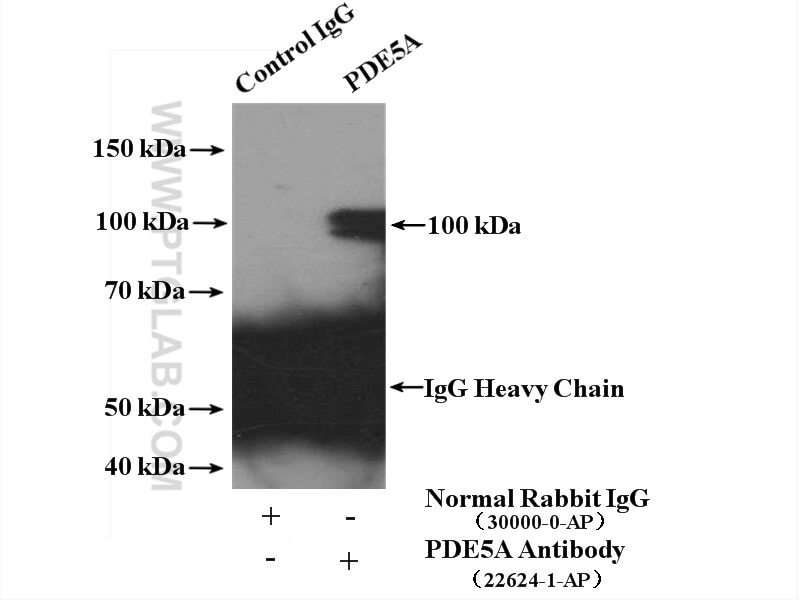 A second 70 kDa band was consistently observed in heart tissue that either reflected a splice variant or proteolytic fragment of PDE5A. (PMID: 15576651). Augmentation of cGMP/PKG Pathway and Colonic Motility by Hydrogen Sulfide.